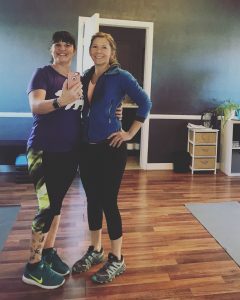 Today’s guest post is from Jessica Benoit, my personal trainer, fitness coach, and dear friend. She is an ACSM Certified Personal Trainer, ACE Fitness Nutrition Specialist working out of her own studio, A New Leaf, here in Bozeman, MT. 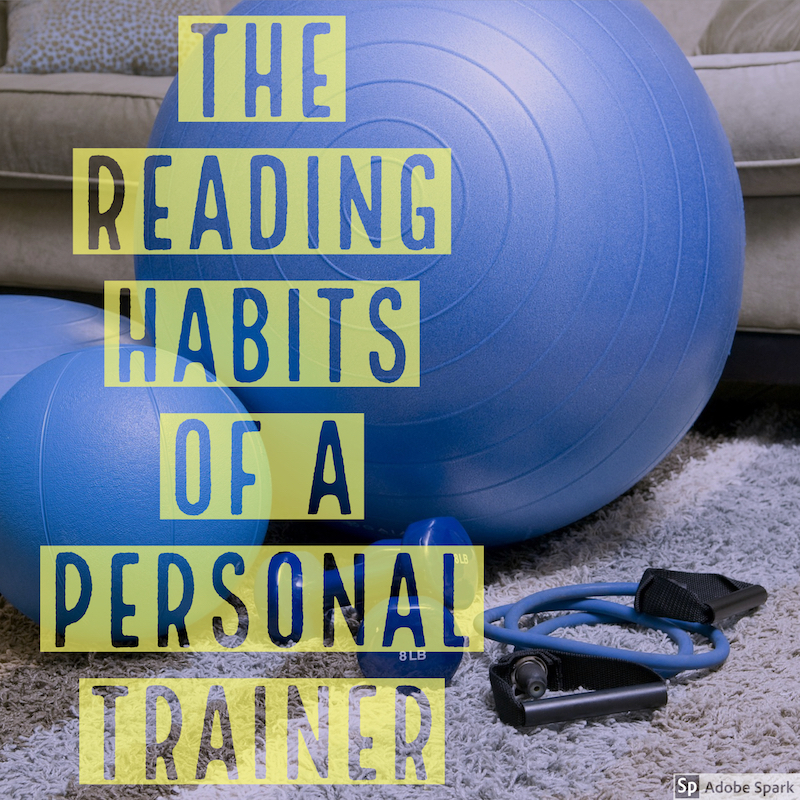 Who do you consider reading an important part of a healthy lifestyle? Mostly because it provides an escape! You can enter into the lives of others or even a fantasy world. 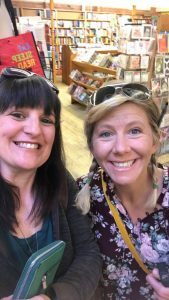 I feel like reading strengthens your empathy and humility muscles, much in the same way as seeing live theater does, it give you an omniscient world view of all the characters portraying very human lives. Hearing others’ stories can help bust through the shame we associate with our own stories we carry, about belonging and overcoming life’s challenges and adversities. Reading can help you feel more connected to others. Also it improves your vocabulary, boosting your ability to communicate…what’s healthier than that?! What are your reading habits and preferences? My favorite genres are self-improvement, historical fiction, and memoir. This past year, with Ramona’s help (she picks my books) I’ve been reading more literary fiction, which I have fallen deeply in love with. I was an avid reader as a kid and was obsessed with murder mysteries (which I still enjoy now and then) and Steven King horror books! Years back, at my best friend Anjuli’s graduation party, her uncle and I were discussing books and genres, and for a long time I couldn’t figure out what I liked to read! His recommendation was to read Pulitzer-prize winning authors, and I took that to heart. I’m currently reading March by Geraldine Brooks and I love it, there’s a marked difference in the language and style of writing in these books than some others I’ve read. I love physical books, the texture of the pages and weight of them in my hand. When something moves me or grabs my heart in a book, I can underline or make notes in the margin. I’ve tried reading on devices (and I still do occasionally), but I hardly finished a book due to being distracted by the technology! I would put the device in non-notification mode, but when I would read about an interesting place or person, I would be off Googling the Adriatic Ocean and forget all about the story! 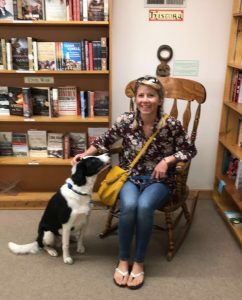 Ramona has helped me to rekindle my passion for reading, to hone my preferances and expand my horizons. A friend even built me a bookcase this past January to house my growing library of books! While it’s hard for me to prioritize sitting still and reading, it’s instrumental for me to do for my mental health; to slow down, relax and get lost in a good book feels luxurious. Plus, you burn more calories reading than watching t.v.! What is a book you would say has most affected you life? 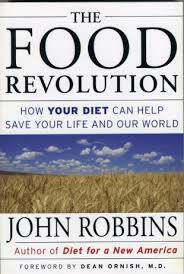 John Robbins wrote The Food Revolution, which changed my life. 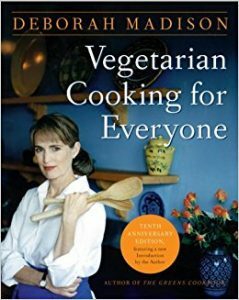 It shaped my world view on how our choices in what we eat effect all living beings and the Earth, when I read it at age 25. 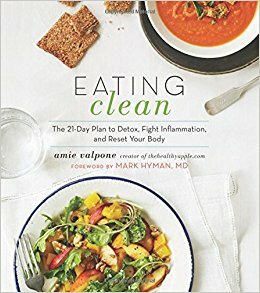 What books do you recommend to your clients regularly? 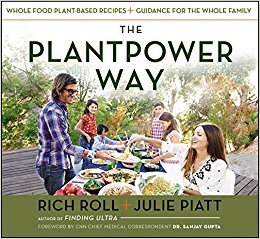 The above mentioned The Food Revolution is a big one, but not all the books I recommend are directly about food or exercise. I believe living a healthy lifestyle is an evolutionary process, so working on all facets of personal development and quality of life are super important. 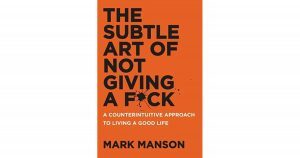 I recommend this one on audio book if possible. The plain language used and the straightforward style make potentially complicated concepts accessible for everyone. Practicing mindfulness while eating is crucial in order to truly evaluate our eating habits, and having healthy attitudes about food. 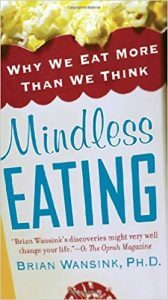 Wansink is a food researcher who breaks down social and cultural norms to uncover the many subtle cues that cause us to overeat without realizing it. 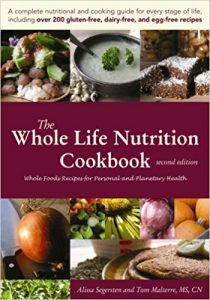 Okay, let’s take a moment to laugh about a healthy eating book written by an author named Bacon! The key concept here is that healthy does not necessarily equal skinny. 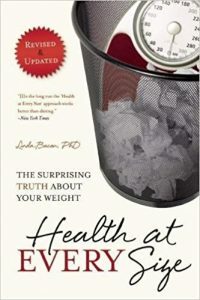 This is a well researched book that explores our societal views of weight and body image. What’s important is that you’re moving your body in ways that are fun for you, and eating in a mindful way that is enjoyable and acknowledges hunger cues. 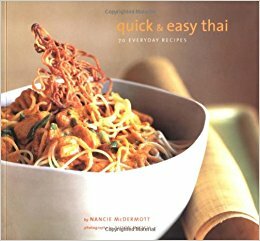 What are your favorite cook books? 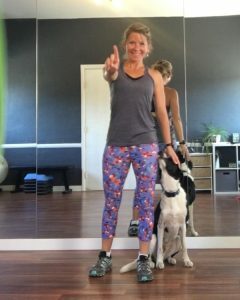 If you’re interested in learning more about Jess and her services (which include long distance fitness coaching as well) you can find her at jessicabenoit.com, and tell her Ramona sent you! Is Your Lifestyle Killing Your Creativity?